Kelley B. Stewart was born in Palatka, Florida, on January 5, 1960. She graduated from the University of Florida and received her law degree from Duke University in 1984. 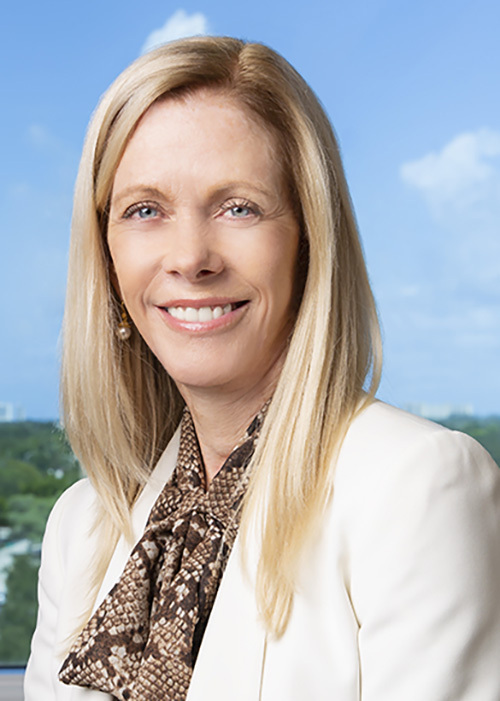 Kelley began her legal career with a prominent South Florida defense firm and then joined the firm as an associate in 1987 and became a partner in 2002. She is admitted to practice in North Carolina and Florida. In addition to Florida state courts, she is admitted to practice in the United States District Court for the Southern District of Florida, the United States District Court for the Middle District of Florida, and the United States Court of Appeal for the Eleventh Circuit. Kelley is a member of the American Bar Association, the Federal Bar Association, The Florida Bar, the North Carolina Bar Association and the Broward County Bar Association. She is also a member of the Broward County Trial Lawyers' Association and the Broward County Women Lawyers' Association. Kelley was an adjunct professor at Nova Southeastern University Shepard Broad Law Center from 1993 through 1996 where she taught Pretrial Civil Procedure. She has lectured at seminars on topics including uninsured motorist law, civil procedure, and appellate practice. She is active in her church and volunteers with 4KIDS Spirit of Success Institute that supports young adults as they transition out of foster care and into independence.